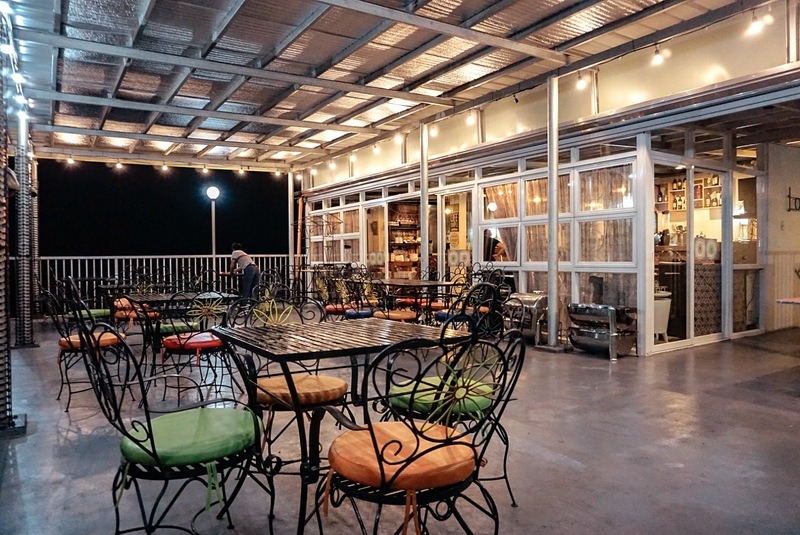 A neighboring town to cities that hustle 24/7, Tagaytay City has been always a fitting weekender to everyone who would like to loosen up and unwind. In just two hours away from the metro, you'll get to feel its freshest air, cool breeze matched with an awe-striking picturesque view of Taal lake and its majestic volcano. 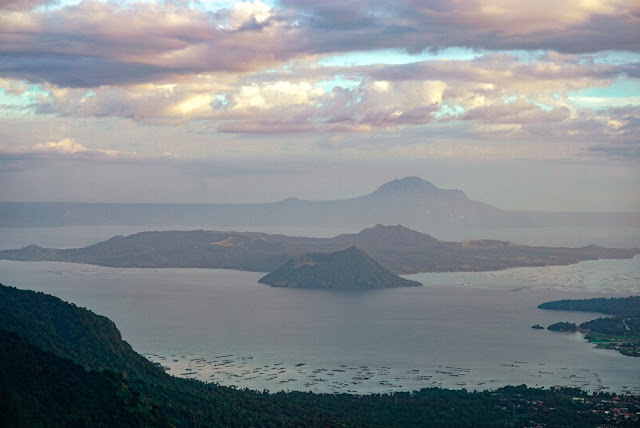 More often than not, people only have a place or two in mind that's on their list when thinking of visiting Tagaytay City. With that, let me tell you that there's much more that you can actually visit and do in this town with your friends and family. Apart from warming yourself up with some good bulalo on the table, you can also enjoy Tagaytay's cool breeze with some good cup of coffee. Deviate from the usual coffee shops that you can also hit at the metro. Try L & J's coffee, Cafe Nativo, Java Jazz and other local coffee shops around the town. I have dined in several local restaurants in Tagaytay City but I personally love the food in L & J Bistro as it has distinct taste which make it better than anything else's. SERIOUSLY. Plus, theirs is cheap compared to other restaurants in the town. Must try are their Bulalo, Tawilis, Nachos and Taco Pizza, Sausage, UNLI GRILL (yum!) 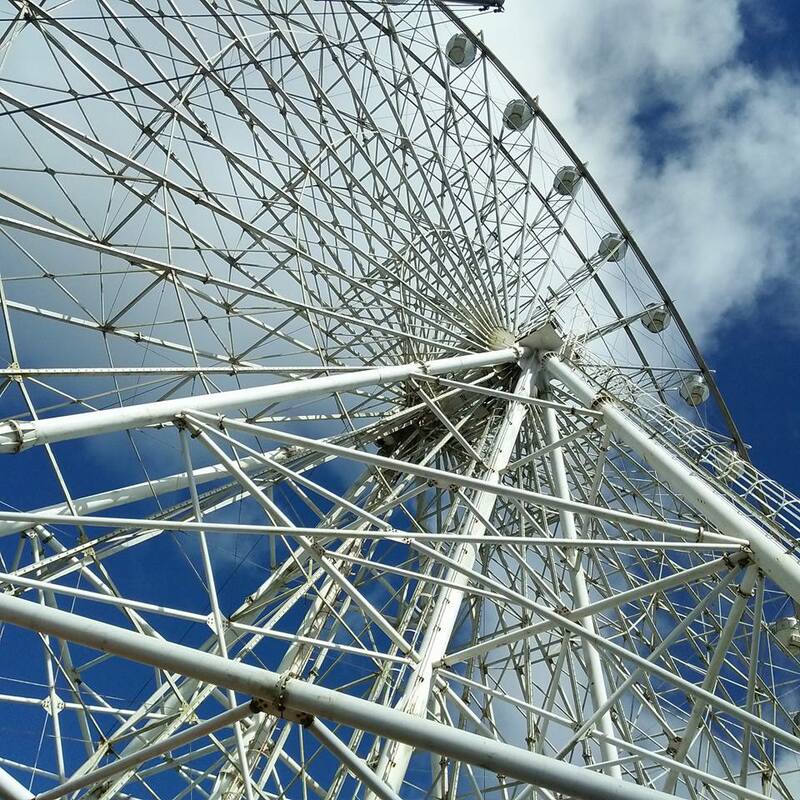 or let's just say E V E R Y T H I N G.
Among the most visited attractions in Tagaytay City are People's Park, Picnic Grove and Sky Ranch. If you prefer thrilling activities and a carnival type of adventure, you may visit Sky Ranch and take the Sky Eye which is consdered as the tallest Ferris Wheel in the Philippines. You can also go on a picnic trip as you can stay and rent for their gazebos. If you want a classic weekend picnic, you can bring that mat and picnic basket with your home cooked food and snacks and share it with your family as you sit down on the grass watching the sun set at Tagaytay Picnic Grove. Tagyatay City has also been known as a destination for Thrift Shopping as there are lots of shops of this kind in Olivarez Plaza. There are lots of Thrift shops around, big and small; but among the frequently visited ones are Ukay Hub in front of Andok's and Fora Mall and the other one beside Metro Bank and Foggy Heights Village both in Olivarez. You can actually score good deal with their 3 pieces of clothes at 100php. You just have to be a little patient. 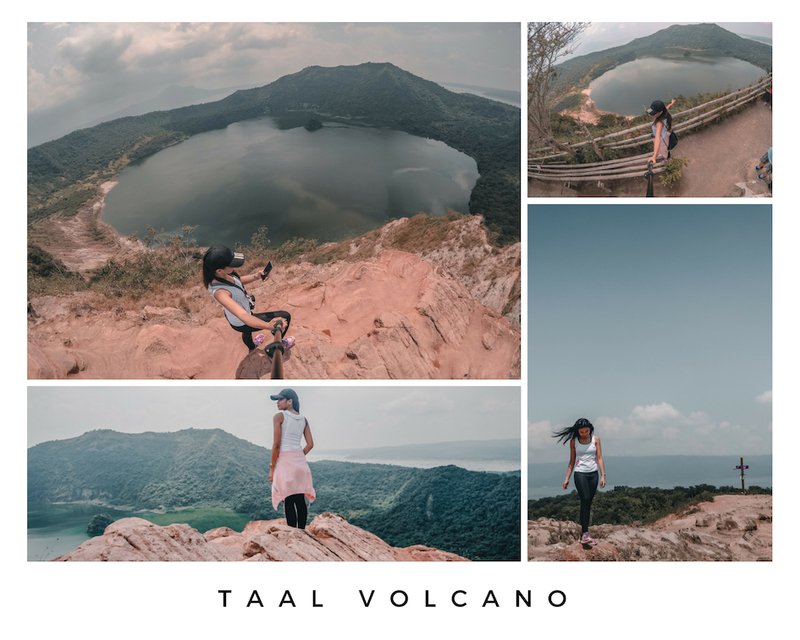 Most tourists find it amusing to be just dining, sleeping in a room, sipping a cup of coffee in an overlooking balcony with a view of the smallest volcano in the Philippines, The Taal Volcano. While a lot are more than fine admiring it from afar, adventure seekers are not. They'd rather go on a trek and see the volcano up close and personal. 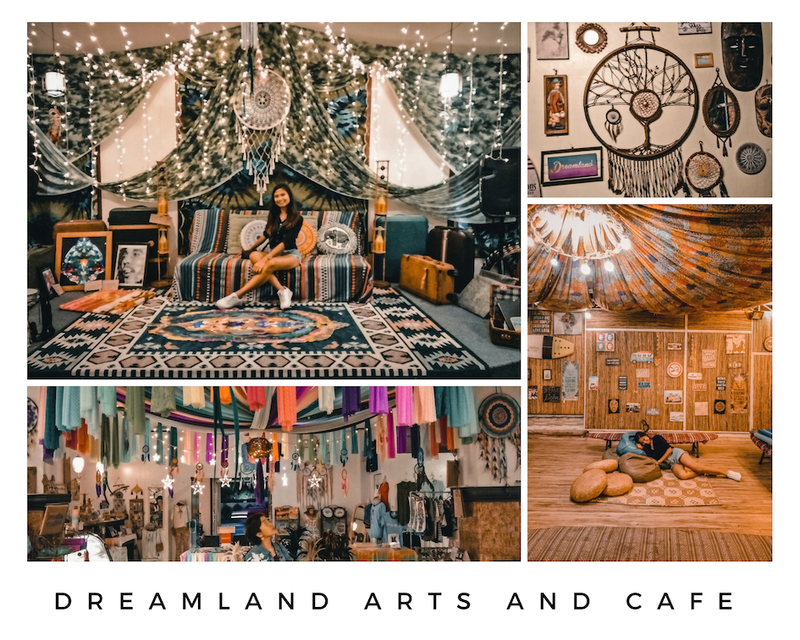 If you're digging on a Bohemian-inspired places, Dreamland Cafe, Bed and Breakfast is the best place for you! It is more than just their numerous and multi-sized and styled dream catchers they are famous for. They also sell cool, local handcrafted stuff, offer artsy fascinating hotel rooms a small hippie function hall and of course, frappes and snack. Cafe is open 24-hours. 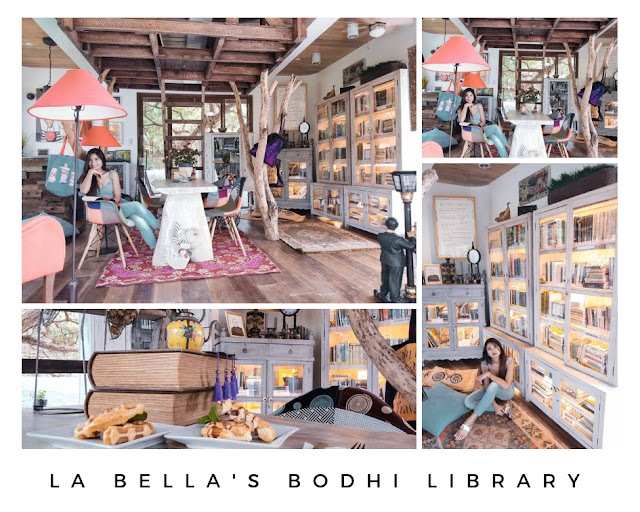 Are you a bibliophile who fancy a rustic and cozy library with a cup of hot chocolate or coffee and waffles on the side? Well, the search for your utopia is over. La Bella's Bodhi Library is quite a hub for you. The pine trees and the cool breeze add up to the library's relaxing vibe making you wanna stay longer than you can imagine. Aside from the library, you can also visit and roam around their Mediterranean-Santorini-inspired hotel and the Ibizan-style restaurant called El Cocinero inside La Bella. Close to Nature. Close to God. This is what this frequently visited chapel at the south advocates. 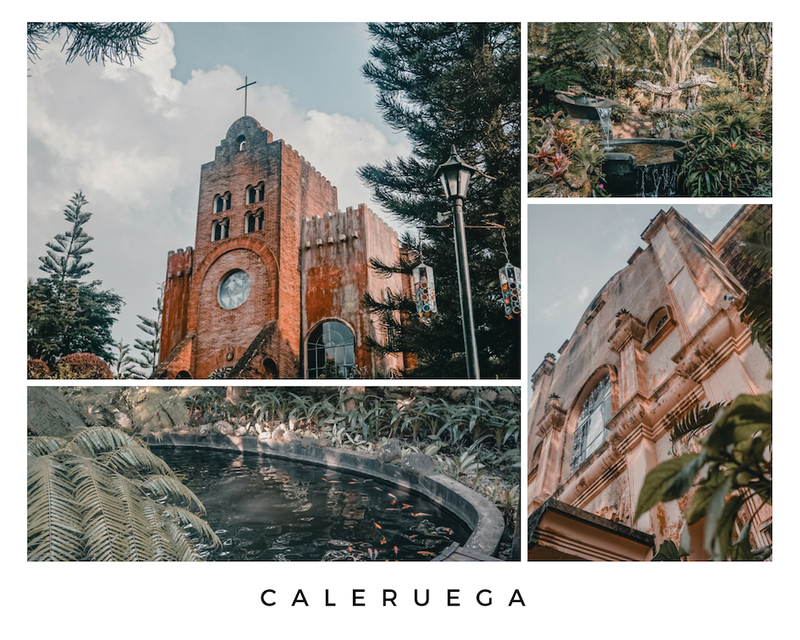 More than just a venue for uniting hearts as one, Caleruega has become a place to find peace, bond and relax with friends and family. It is actually located in Batangas but people who visit Tagaytay make their way to this chapel since it's just few minutes away from the town. Aside from weddings and retreats, people can visit the place to do the Station of the Cross or just simply to have picnic. There are picnic tables and tents around which can be rented starting at 200php. You may also enjoy the man-made ponds around. Entrance fee is at 50.00php. Here's a place where everyday is like Christmas Day. 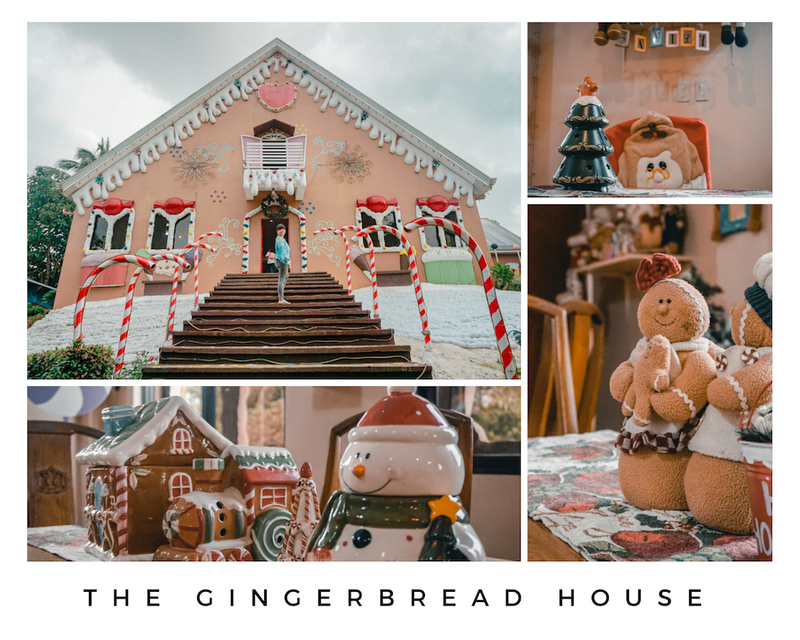 Kids and kids-at-heart alike enjoy this place since it is more than just a gingerbread house that is larger than life. It also features other activities that everyone will surely enjoy. These include crafting your own hot chocolate, s'mores, gingerbread man and house, fish spa, roaming around the candy and Christmas Village and more! Entrance fee is at 50.00php. Get 'shookt' with the enormous reptiles as you expect them to be still yet surprise you with their deadly glare as they look to your way. We initially thought there's no thrill at all not until the crocodile that is a little smaller than Lolong looked to our way. 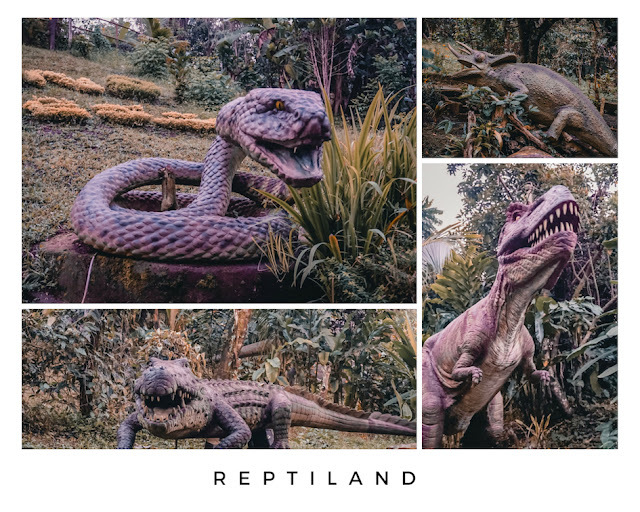 We seriously jumped out of fright and surprise since they also resemble the real ones (not to mention us being nervous as we walk around since we do not know what else would fall into our way). Entrance fee is at 100.00 Php. Some other places like the Puzzle Mansion, Yoki's Farm, Museo Orlina and the churches can also be visited if time permits. The nearest airport is Ninoy Aquino International Airport in Manila. From there, you need to take a land trip going to the town. From the airport, take a cab bound to the south bound provincial bus terminals (Pasay, Buendia, PITX). From Pasay (near Sogo), Ayala or Buendia (LRT Gil Puyat Station), hail for a bus bound to Mendez, Nasugbu, Lian or Calatagan. Tell the driver to drop you off Tagaytay City or at Olivarez to be exact. Look for DLTB Co., Celyrosa, Erjohn & Almark, BSC bus liners. First trip is around 2:30 AM and last trip is at 10:00 PM (in Buendia), 11:00 PM (in Pasay). From Alabang, you can take a van at Festival mall (near Goldilocks). First trip is usually around 10:00am and the last is at 8:00pm. To get around Tagaytay City, you need to take jeepneys and tricycles as there are no grab and taxis in the town yet. When going to Picnic Groove, Our Lady of Manaoag, Dreamland Arts and Crafts Cafe, Cityland and Starbucks San Jose, you need to take a jeep at Olivarez Terminal bound for People's Park. From the highway, look for buses bound for Manila (same bus liners). It is seldom that buses going to Lawton and Cubao would pass by. Most buses are up to MRT Pasay or LRT (Gil Puyat). Take note that you can also choose among the suggested DIY itinerary should you only decide to spend a day or two in the city. If you want to do a Taal Trek, always assign this one the last day of your stay as it might get you really exhausted.